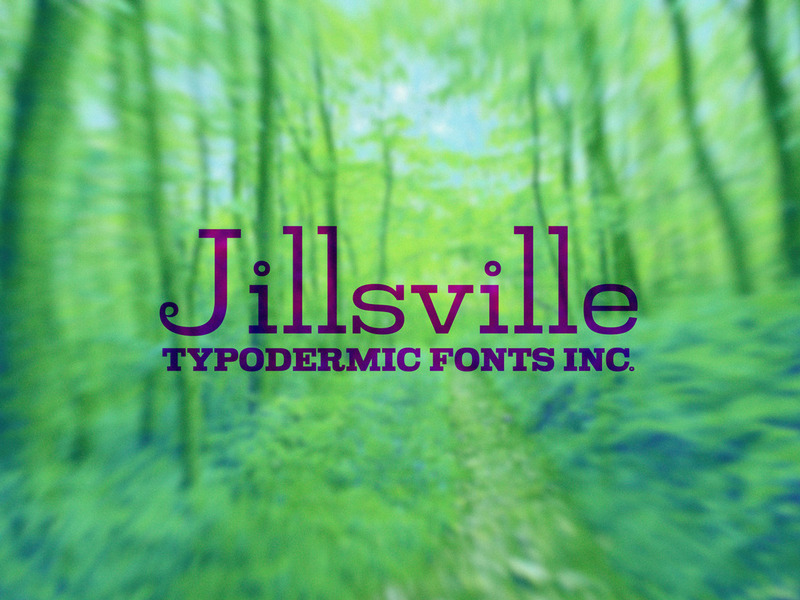 Jillsville was one of the first Typodermic Fonts releases. It was created in 2002 but was only available in 2 weights: Ultra-Light and Extra-Light. Now you can get it in a seven weight range. Language coverage has been expanded to include almost all Latin based languages, Cyrillic and Greek. Try the free demo at Fontspring!